Rain pelted down on my windshield as I navigated semi-flooded roads. I used my dirga swasam breath to stay calm. I thought about what I’d want my loved ones to know if I didn’t survive this drive. Focused on the tail lights in front of me, I kept a steady pace and reminded myself that the storm was temporary. I found myself even slightly enjoying the rush of adrenaline. About halfway on my drive home from work this stormy day, the rain lightened and the setting sun began to break through the clouds. Stunning colors to my left caught my eyes and I realized there was a dazzling double rainbow ALL THE WAY. My reaction was honestly almost exactly like the guy you just heard if you clicked that last link. I experienced relief that the most difficult and stressful part of the drive home was over and I felt elation at witnessing such intense, vivid beauty after experiencing something so tremendously powerful and potentially destructive. I may have shed a few tears. I think that’s why humans are generally fascinated and awed by rainbows; they symbolize beauty, peace, and serenity blooming from chaos. Storm clouds of the emotional sort hovered over me these past few weeks, and I didn’t know how to deal. My happiest moments were at work when I didn’t have time to think of my own personal issues. The quiet moments crept up on me and dragged me down into a darkness that seemed endless. I didn’t feel like myself. I missed being happy. Motivation to do the things I love just wasn’t there. When I found myself on the verge of despair, I clung to the knowledge that this, too, was temporary. As my mom taught me, this too shall pass. That became my mantra. I didn’t always believe it, but I kept telling myself anyway. And guess what happened—it did pass. With as little fanfare as rain clouds dissipating, the darkness began to retreat. Today I experienced my emotional double rainbow moment. Gratitude for life itself swelled within me. Joy rushed back into my being. I had lost myself in the darkness, but finding myself through all the layers of pain, uncertainty, and fear showed me that I am so much stronger than I knew. I am capable of so much sparkly, wondrous love. So when those storm clouds approach, or if you’re in the darkness and chaos now, remember, this too shall pass. You will be okay. Your heart will keep beating even when it feels like it’s being squeezed of every last drop of love. In your most difficult, hopeless moment, that’s when the last drop of love will be revealed to you. That’s where the learning and incredible growth will occur. So don’t despair. And, lastly, READ THIS. Today is my birthday, and the universe has given me an amazing gift! 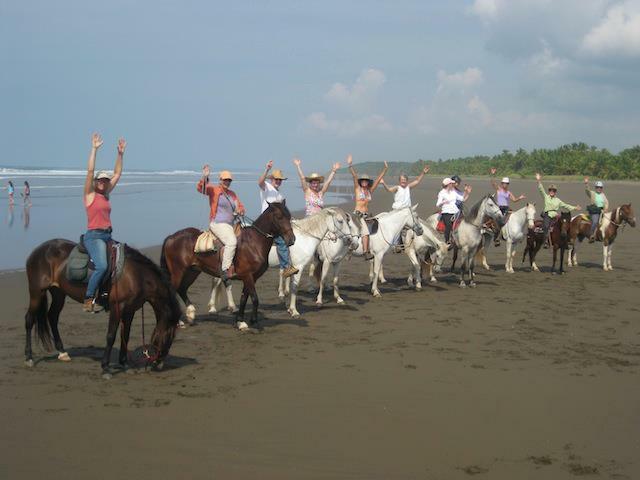 I’ve been accepted to the volunteer program at Barking Horse Farm in Costa Rica. I discovered the farm on Instagram this summer and instantly fell in love with the place. Their focus is Natural Horsemanship. I felt drawn to this farm right away and began looking into ways to go there. I received confirmation that I had been accepted to the volunteer program shortly after I returned from Bolivia. There are so many things I’ll miss, including my horse, Snowy, who will be staying here in Virginia, but I know this opportunity will enable me to grow in ways I can’t even predict. 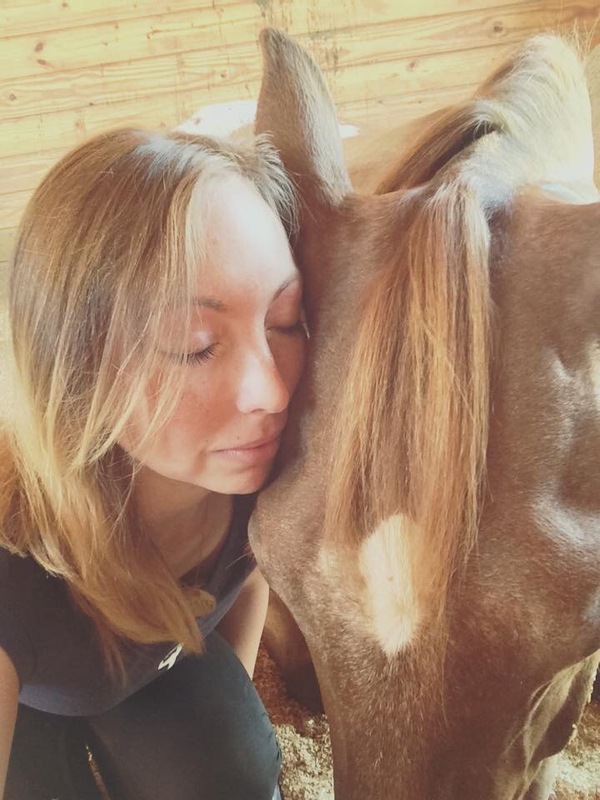 My dream is to one day have a facility of my own where people come to experience healing and growth through yoga and horses. I know volunteering at Barking Horse Farm is a step in the right direction. I feel like I’m finally making a career choice that speaks to my heart. I’ll be at the farm from November through the end of January. If you’d like to help support me in this endeavor, feel free to donate to my GoFundMe campaign. And even if you can’t donate, sharing the campaign to your social networks would also be a big help. I am so excited to take this next step of my journey and to share it with you through this blog and social media. We all have the power to make this world a better place. We all have unique gifts to share. I encourage you to follow your heart, to listen to it daily. An authentic path is not always an easy one, but it’s so worth it. Today was a good day. Your patience as I practiced asanas upon your back awed me. You seemed entertained by my strange movements. Later I visited you in your stall. We eased into yoga nidra together. First we stood together, breathing as one. I gently ran my fingers over your soft ears, thanking you silently for your calm presence and support. Then I sat down upon the sawdust and you laid down shortly after. There we stayed, meditating, breathing, being.